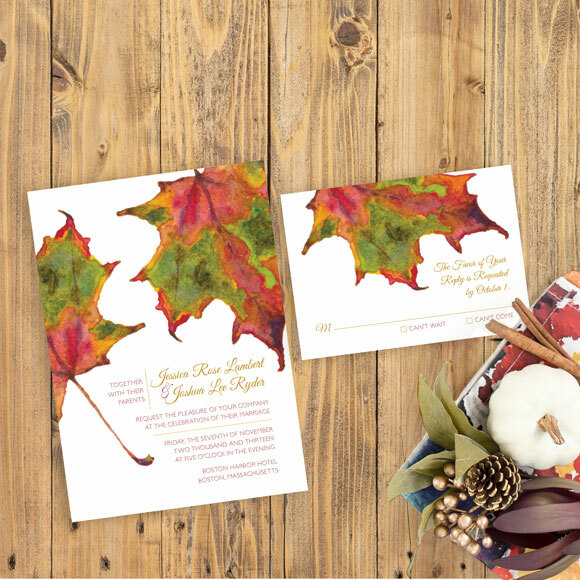 Fall is a magical time of year to get married. 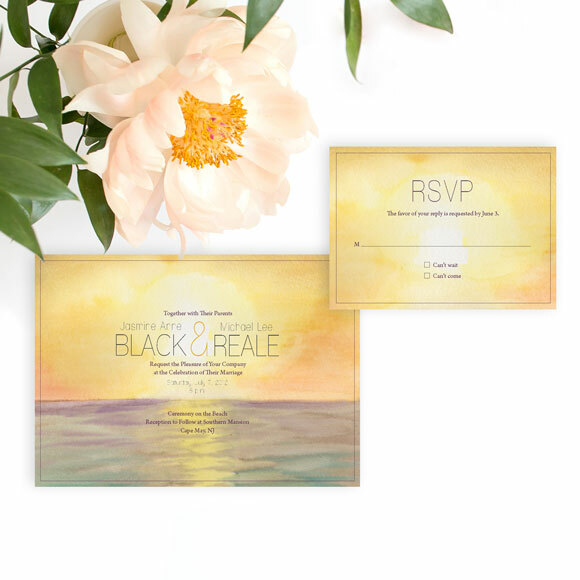 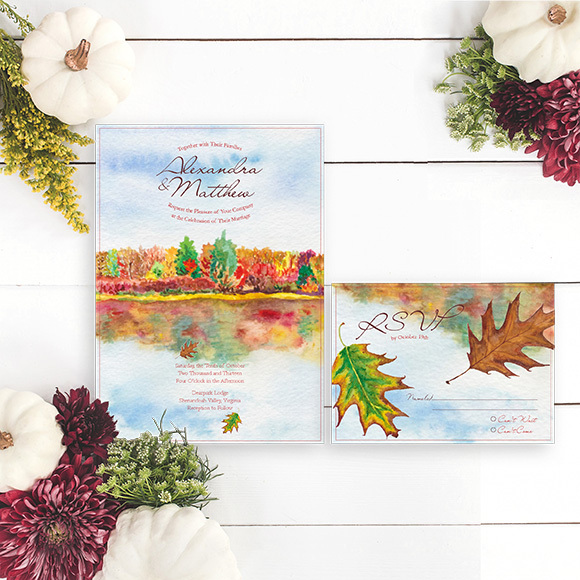 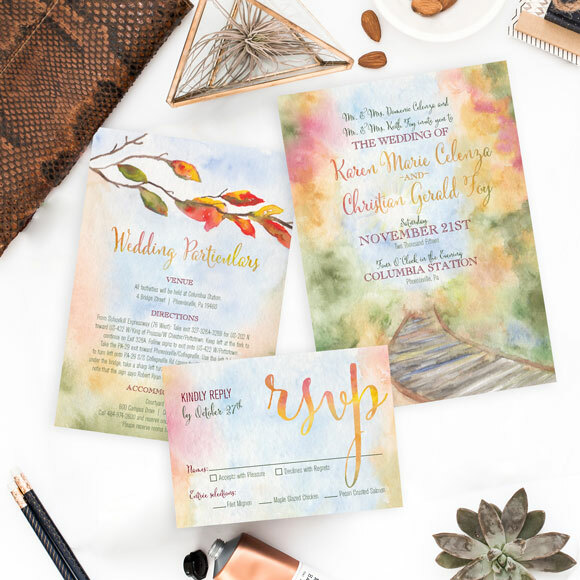 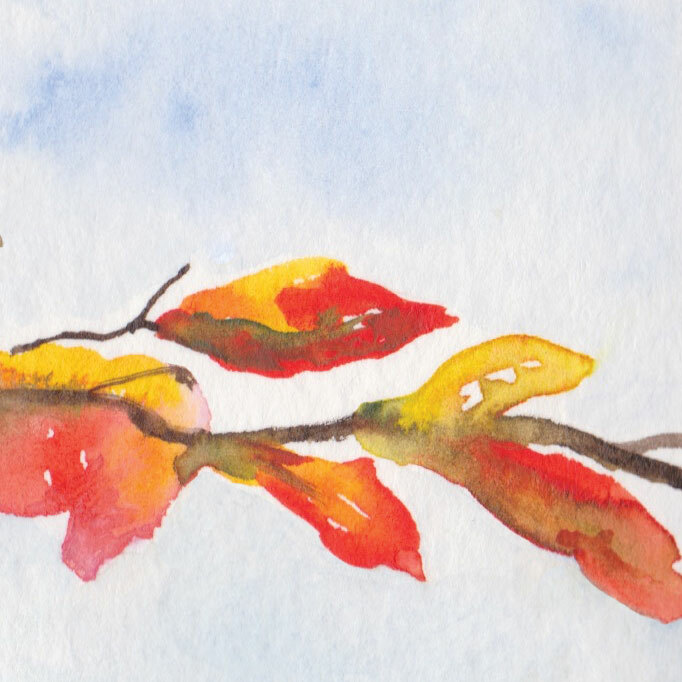 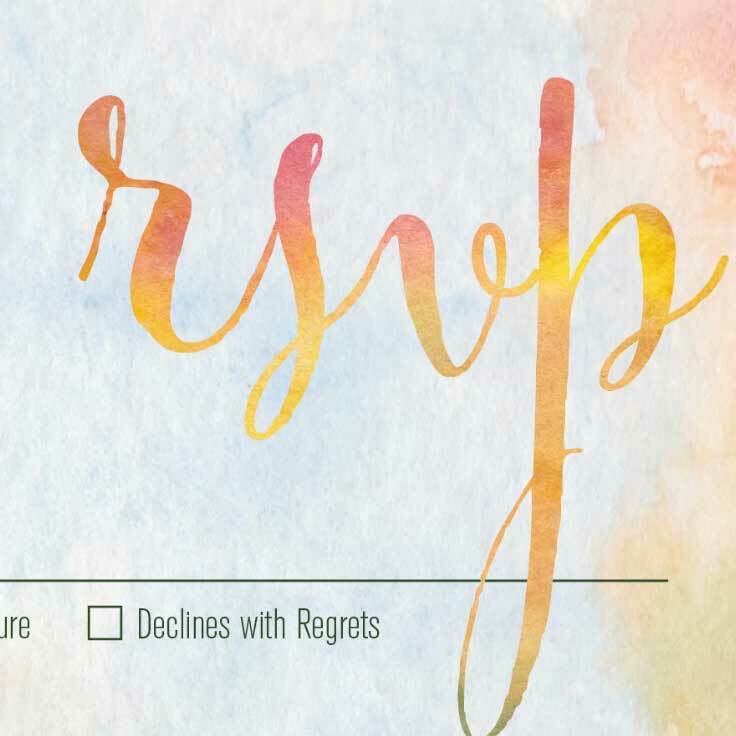 This fall watercolor wedding invitation features a winding path through the fall foliage forrest with a railroad in the foreground. 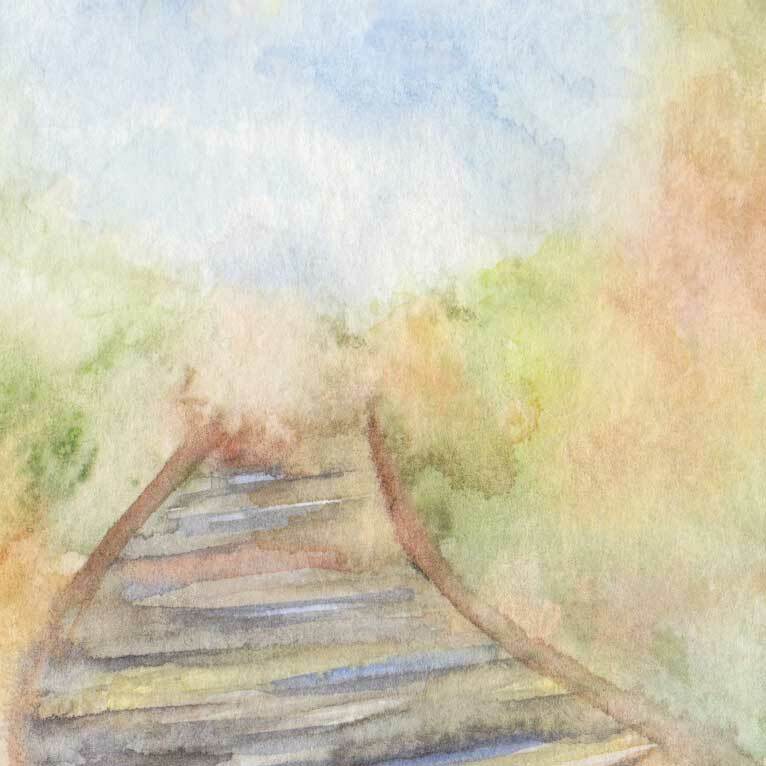 The railroad symbolizes your path as a couple.